The MINI Front Wheel Attachment converts your MINI Walkin' Wheels Rear wheelchair into a Full Support/4-Wheel (Quad) wheelchair for pets with front and rear limb weakness weighing 11-25 pounds. See the Walkin’ Wheels Full Support MINI wheelchair in action! 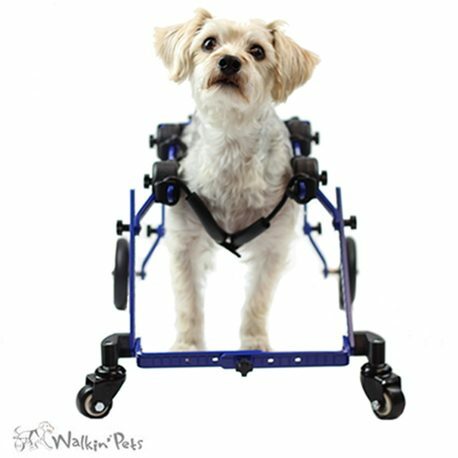 Walkin’ Wheels® MINI Front Wheel Attachment can be added to a Walkin’ Wheels MINI Rear wheelchair to create a Full Support/4-Wheel wheelchair for dogs and other small pets weighing 2 to 10 pounds. 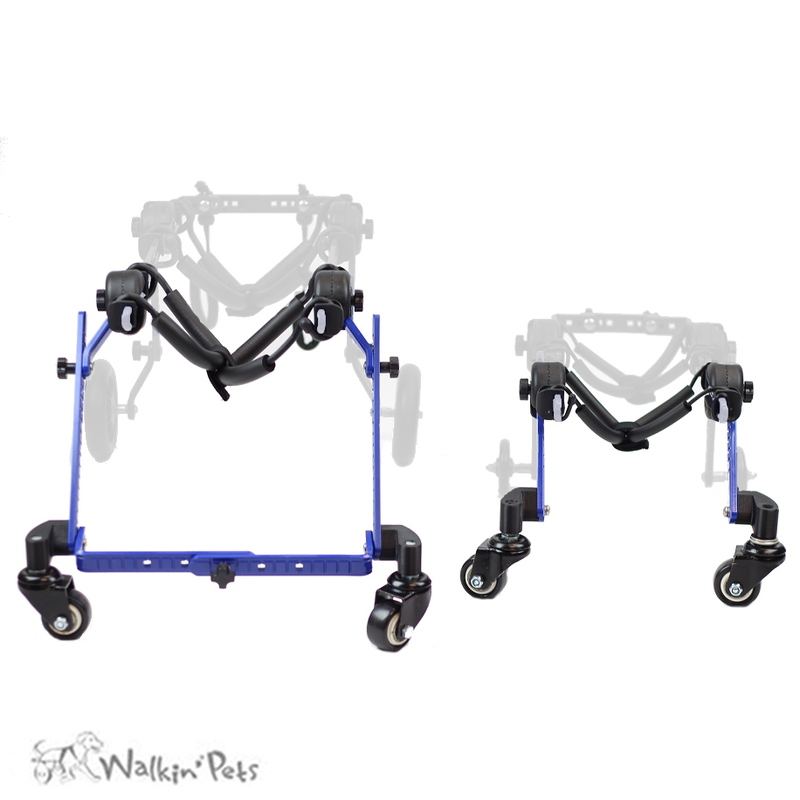 If a pet becomes weak in the front legs and is already using a Rear Walkin’ Wheels, the Front Wheel Attachment enables the Rear wheelchair to convert into a Full Support wheelchair that supports all four limbs. Easy measure; only two measurements needed. 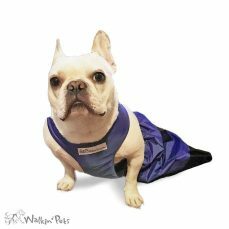 Fully adjustable – fits very small dogs and other pets weighing 2-10 pounds. 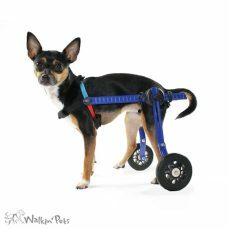 Dogs can still “do their business” in the wheelchair. Comfortable front support leg rings. Available in the color blue. Great customer service for any follow-up or questions. 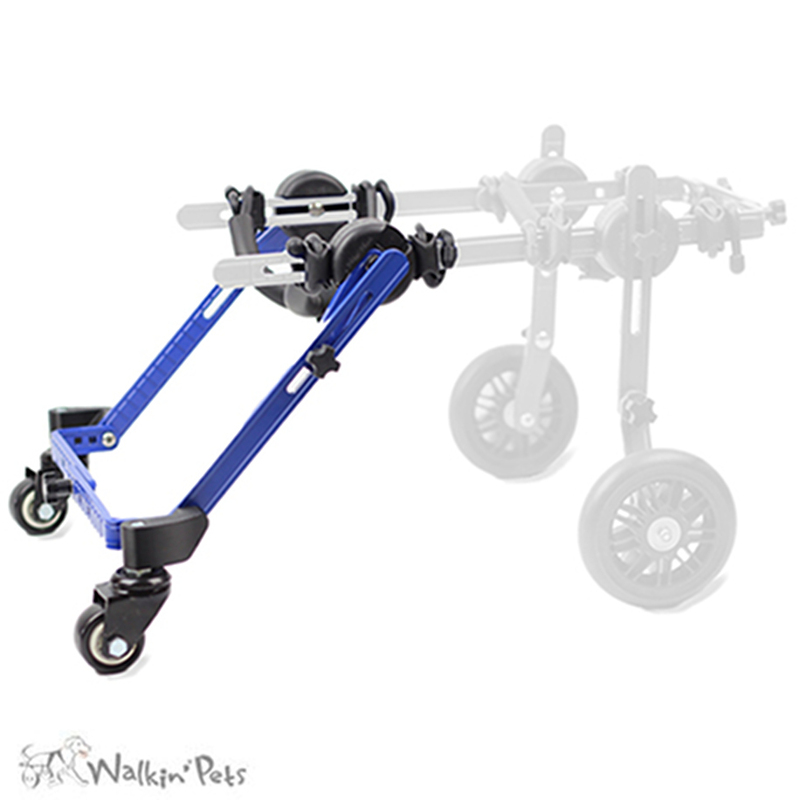 Follow the steps below to get the correctly sized Front Wheel Attachment struts and wheels. 1. 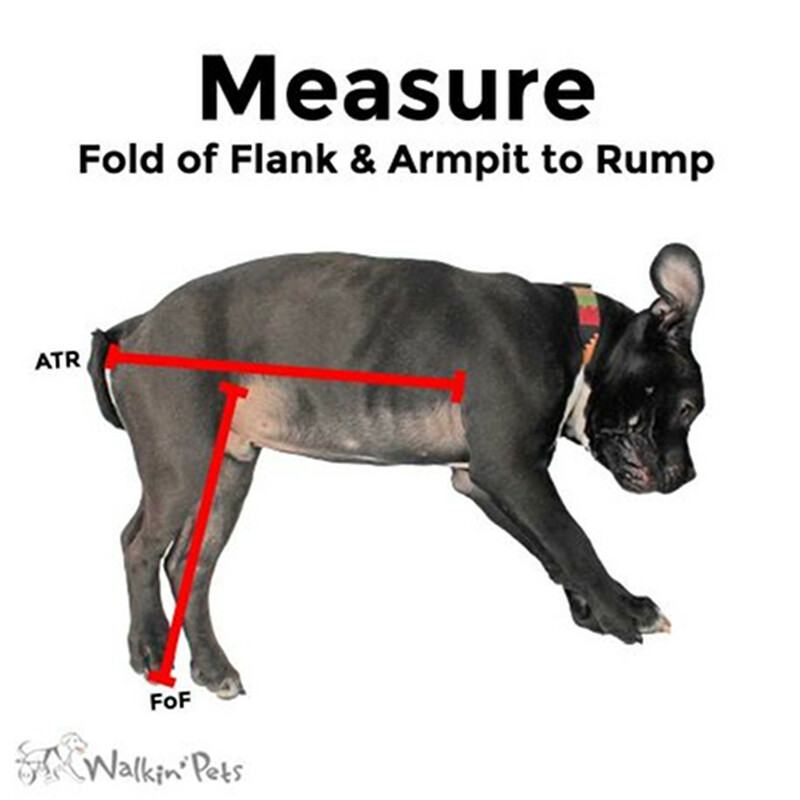 Measure the fold of flank of your pet laying down to the toe pad, as shown here. Do not pull the leg tight; leave some natural bend. The Fold of the Flank (FOF) is a thin piece of skin that connects the dog’s upper rear leg to his body. Look at the webbing between your thumb and index finger. This skin is very similar to the fold of flank (FOF). To measure the armpit to rump, start from the back of the front leg and measure across to the back of the rear leg. Watch How to Measure Your Pet’s Fold of Flank (FOF) Video!